In this same eventful year the Lasky Company engaged another actress whose name is now familiar to the motion picture population of the world. The Ziegfeld Follies of 1915 contained for the first time a screen episode introduced for presentation of an auto race. From the moment when I saw Miss Murray romp across this incidental screen I saw her possibilities. When I got in touch with her, however, I discovered that several other producers had been inspired by the same belief. That our organization was the lucky competitor was due to a very advantageous connection which the Lasky Company had formed sometime previously. The chief concern of both Mr. Zukor and the organization was to get big stories, big plays and to this end Mr. Zukor and I engaged in a memorable skirmish over David Belasco. It is apparent of course, at first glance why the production of this most eminent producer of the spoken drama should have assumed such importance in our eyes. Both of us felt that if we could only have the screen rights to the Belasco pays we should be placed in an invulnerable position. In our rival efforts Mr. Zukor had the first advantage, for he had earlier formed a connection with Daniel Frohman, and through this alliance he was enabled to get into direct touch with Mr. Belasco. I, on the other contrary, made all overtures through the great producers business manager. In spite of Mr. Zukor’s lead, the result hung in the balance for many days. At last, when I was beginning to despair, Mr.Belasco announced that he would see me. How well I remember that day with a beating heart I sat in the producers office awaiting the decisions so vital to my organization. It seemed an eternity that I listened for the opening of a door, and when at last I heard it. Mr. Belasco’s entrance was as dramatic as that of a hero in one of his own plays. The majestic head with its mop of white hair sunk a trifle forward, the one hand carried inside of his coat I can see now this picture of him as slowly, without a word, he descended the stair to greet me. After I had gathered together my courage I began to talk to him about DeMille and Lasky and our organization, and he seemed impressed from the first by my enthusiasm. I think he liked the fact that we were all such young men. Indeed, he said so, and it was this, I am sure, which influenced his decision. He made it that very day, and when I went out of his door my head was swimming with my triumph. Mr. Belasco had promised the Lasky Company the “screen rights to all his plays. For these rights, I may mention, we promised him $25,000 advance against 50 percent of the profits. I saw my esteemed but defeated rival at lunch on this very same day and when I told him the news his face grew white. It was, indeed, a terrific blow. But a reversed decision would have meant even more to me. For such plays as “The Girl of the Golden West” and “Rose of the Rancho” merely helped to offset our leading competitors tremendous advantage in the possession of such stars as Mary Pickford and Marguerite Clark. 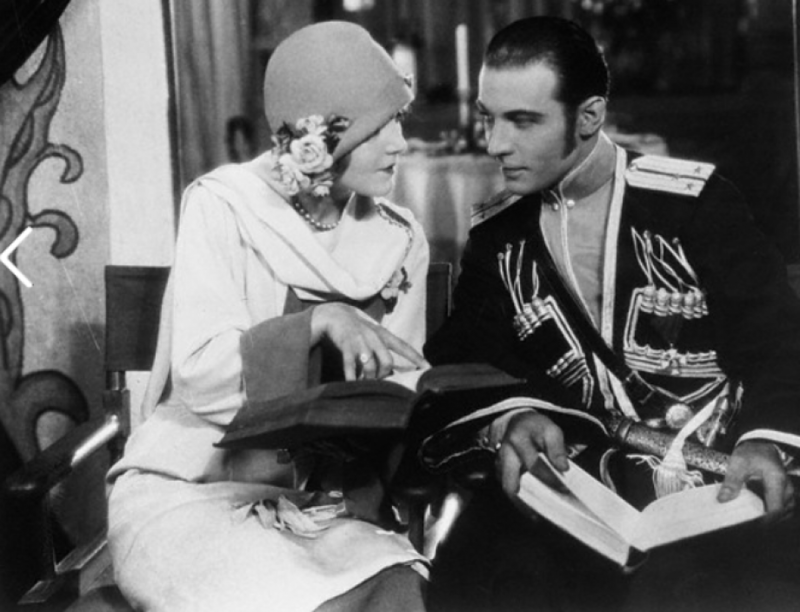 The promise of the Belasco plays influenced many a screen actor of the time, and it was, in fact, my assurance to Mae Murray that she should play “Sweet Kitty Belair” which weighed against more dazzling offers from other studios. Before Mae departed for California she came to me with trouble clouding her brown. “I can’t do it” she said. “Can’t do what?” I enquired apprehensively. “Why, this contract you’ve made with me”. It says that I get $100 a week and the company buys my clothes. Now I can’t trust anybody to pick out what I wear. Clothes are part of my personality and I’d much rather have more salary and have the privilege of buying my own wardrobe”. I yielded the point and allowed her an extra $100 per week to cover this expenditure. Incidentally, I may remark that Mae could not have saved many nickels from her allowance. There is a tradition that one evening at the Hollywood Hotel the charming little actress changed her evening wrap four times. I cannot verify this legend, but I can say that Mae never changes from bad to worse. She is regarded as one of the most beautifully dressed women of the screen. The clothes-cloud was dispelled from Mae’s horizon. Unfortunately, however, more severe storms awaited her in California. First of all, she was rented by the commands of a director whose conception of her talents had nothing in common with Mae’s own. “Be dignified, remember you are a lady, not a hoyden”. This was the spirit if not the substance of guidance. At some such suggestion Mae would protest angrily. “But I am a dancer that’s the reason I was engaged. And now you want to turn me into something different. I tell you I’ll be an utter failure if you go on like this. Mae’s anger was, of course, perfectly justifiable. Her subsequent successes have verified this fact. Without the infectious mad-cap gaiety which she herself appraised so correctly from the first we should have never have had George Fitzmaurice’s great success, “On With the Dance” or “Peacock Alley”. Miss Murray found another obstacle to overcome during those first days. Fresh with a different medium she knew nothing of the workings of the camera. This knowledge so important in assuming the pose most beneficial to oneself, was gradually imparted by a young chap in the cast of her play. “Say”, said he, “that guy’s giving you the raw deal. He’s trying to get his friend on the set right and you can take what’s left of the camera”. “But what shall I do? Asked she helplessly. “I don’t know how to stand or look”? “You watch me”, rejoined the good Samaritan. “I’ll put you wise”. Right then and there he arranged a code by which to defeat the operations of a cameraman who according to report, did not administer his lens with impartial fervor. If he put his finger to his left cheek it meant “turn to the left” to the right and the gesture was equally logical. From the point onward the system progressed to all the most minute provisions for securing some of the coveted attention. How to engross the most of the camera! I regret to say that here on the roof that ambition has been wrecked many a lofty nature. The public does not realize as it watches the beautiful feminine star look up at the handsome male star over the moonlit stile the warfare that may possibly have occurred as to which should get the more advantageous focusing. Nor does it interpret the moving subtitle “Promise me you’ll leave me a little of the camera”. I have known sweethearts strangely impervious to the higher point of view when it came to this test. And I shall tell presently of a husband who skirmished fiercely with his famous wife on this particular point. Mae’s case was far from indicative of such unappeasable appetite. Her struggle was only for a just share of the camera. Indeed, she has too much respect for a good story ever to offend by insistence on an individual prominence, which often destroys the story. She did insist on another director and on claiming my promise of “Sweet Kitty Bellairs”. Both wishes were gratified. But perhaps, in spite of her avowed admiration for the workmanship of Jimmie Young, no director ever really took with her until she met Bobby Leonard. “Girls, girls” she cried on the evening of the day after she had first worked under Bobby. “I’ve got a great director at last”. She was radiant. She tripped across the lot to her dressing room her blue eyes danced exactly like those of the little girl who has finally drawn the gold ring at the merry-go-round. I have told of Mae’s early struggles with objective light-heartedness. She herself recounts them today with a full appreciation of their humor. But there is another more vital approach to the subject. You must consider that every picture is tremendously significant to the screen actor involved. If it succeeds well and good. If it is a “flop” the proportionate damage to the actor’s reputation is infinitely greater. I think I am safe in saying that if even such emphatic successes such as Mary Pickford, Douglas Fairbanks, or DW Griffith were to make two or three successive failures they would find the coming back somewhat difficult. In fact, I have often heard Mr. Griffith remark “I simply cannot afford to make a failure”. In the light of such knowledge the heartaches of Mae’s first weeks on the Lasky Lot are instantly apparent. Here she was, fully conscious of what that first picture meant in her career. And here at every step she was met by circumstances pointing to failure. And such heartaches, such beating of wings against barriers of prejudice and misunderstanding and actual hostility those palpitate through many of the disputes recorded in this volume.